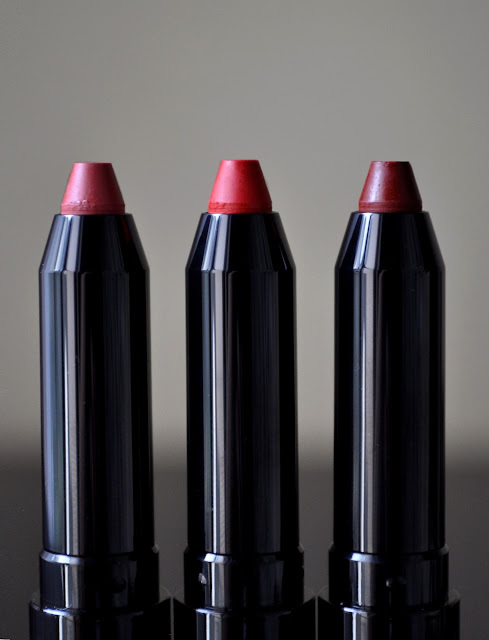 For me, last week was all about "minimal" makeup (sometimes, no makeup) and a bold red lip; and, the lipstick I wore (five out of the seven days) was Addiction's 010 Uptown Lip Crayon. 010 Uptown, along with 009 Desert Rose and 011 Angry Red, were limited edition shades from the spring 2016 Uptown Kisses Collection. Even though I got a lot of mileage out of 009 Desert Rose during spring, I never got around to doing a post on it. 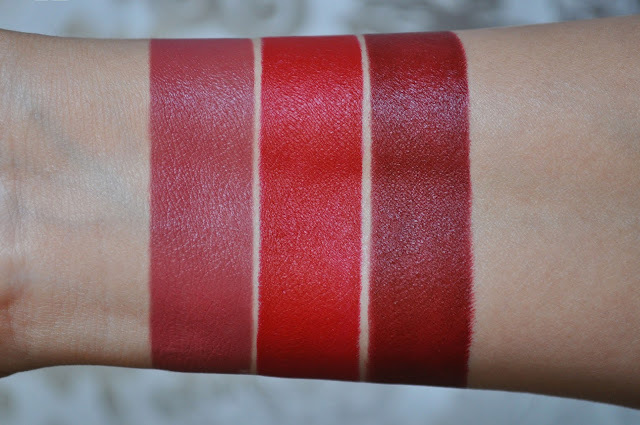 I felt 010 Uptown was a color I would enjoy from summer thur winter, and 011 Angry Red was a shade I would specifically wear during fall and winter; therefore, I tucked them away for later use...until now that is. From left to right: 009 Desert Rose, 010 Uptown, 011 Angry Red. 009 Desert Rose: a redden-brownish-rose. 010 Uptown: a vivid, true red. 011 Angry Red: a rosy-brick red. I'm still going through the process of reorganizing all my makeup; so out of partial-laziness and not wanting to pull more makeup out, I've kept my makeup the same and just changed out my lipstick. Smashbox Photo Finish Color Correcting Foundation Primer in Blend. Guerlain Terracotta Joli Teint Healthy Glow Fluid Foundation in Natural. ADDICTION Blush in Noah 29. ADDICTION Sparkling Veil Powder in Sparkling Pink 001. Bobbi Brown Eyeshadow in Banana (all over the lid up to the brow bone). ADDICTION Eyeshadow in Brown Beach 056 (in the crease and along the lower lashline). ADDICTION Eyeliner Pencil in 09 Rabbit Hole (used to tightline). ADDICTION Eyeliner Pencil in 02 Sugar Blond (on the waterline). Yves Saint Laurent Volume Effet Faux Cils' Mascara in 1 High Density Black. ADDICTION Sparkling Colored Mascara WP in 01 Tough Love (bottom lashes). 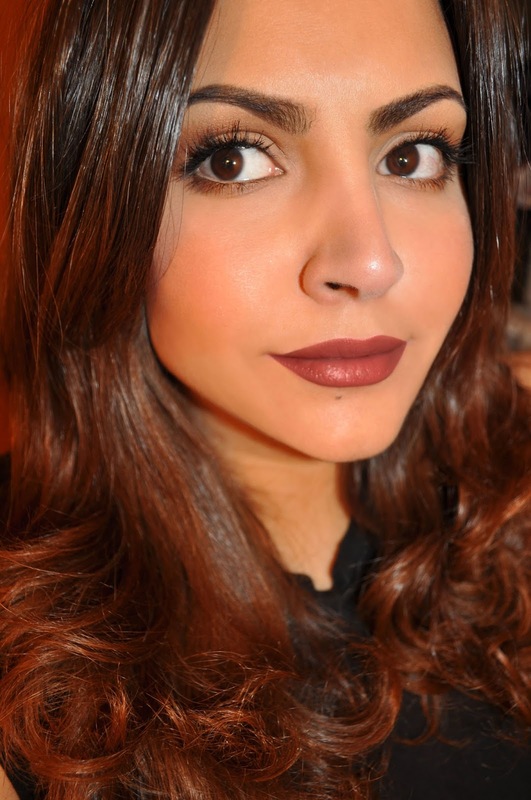 Addiction Lip Crayon in 009 Desert Rose. ADDICTION Sparkling Veil Powder in Sparkling Beige 002. Addiction Lip Crayon in 010 Uptown. 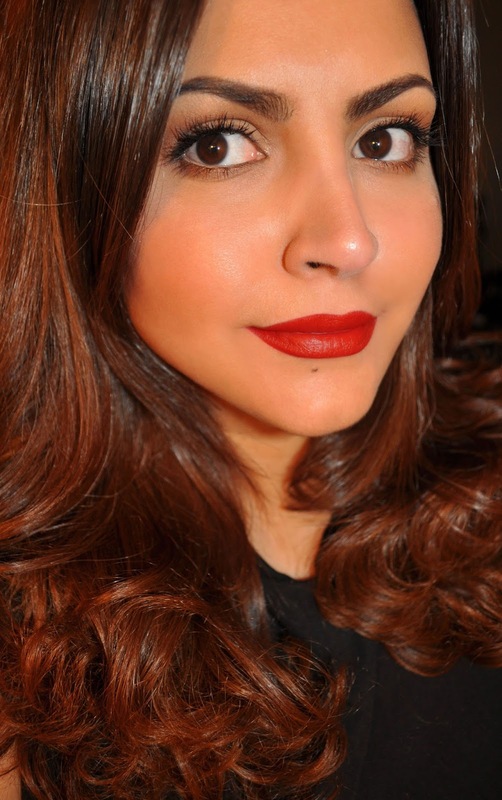 Addiction Lip Crayon in 011 Angry Red. 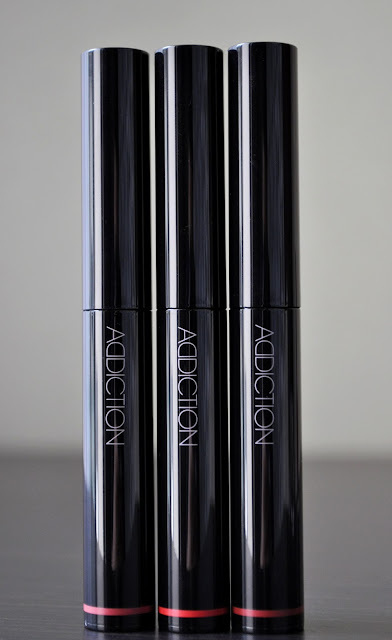 Addiction's Lip Crayons have a velvety-silicone texture, with a matte finish. All eleven of the Lip Crayons I own apply evenly, and are opaque. Moisturizing this lip crayon isn't, but they feel comfortable and very light on the lips (but that's subjective), without flaking, crumbling, or peeling. As with any matte lipstick, I would advise exfoliating, wearing a lip balm for few minutes, then wiping off before applying, to ensure an optimal finished result. I checked online and, to my surprise, both, 010 Uptown and 011 Angry Red, are still available online. Murphy's Law Anna ;p I'll keep an eye out for Desert Rose for ya.